Tonight's meditation, through 8pm GMT, repeats our meditation to send peace, strength and positive connections to all those who have been displaced across the globe. Please use the image below as a positive focus from where ever you are based. Your connection, positive thoughts and prayers really do make a difference - thank you! 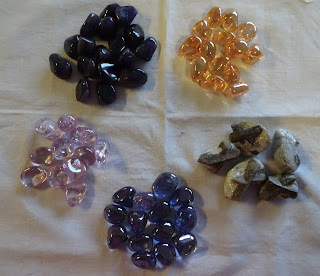 Latest batch of crystals for planting just arrived - dark amethyst, rose, tanzine and topaz aura and fairy crosses - all so beautiful! 'To send peace, strength and positive connections to all those who have been displaced across the globe'. 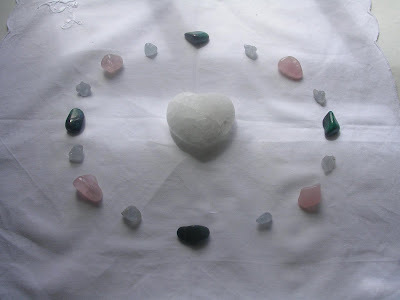 This meditation will use a combination of a Pure Grace Heart, chrysocolla, rose quartz and celestite. Please use the image below as a positive focus. Thank you as always for your connection and for helping others in need - it really does make a difference!. This is in connection with last night's earthquake near the Iran/Iraq border, As always and also for continued healing to those in other areas across the globe which have been affected by devastating earthquakes over the last few years. 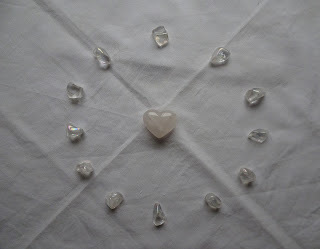 The crystals being used are a Rose heart of Light (rose quartz) surrounded by 12 angel aura. Hope you can join us in meditation, positive thought or prayer by visualising the image below from where ever you are based. Tomorrow marks Crystal Earthworks 15th birthday and Armistice day. There will be a special meditation through 11am GMT using a Pure Grace heart and four rose auras. 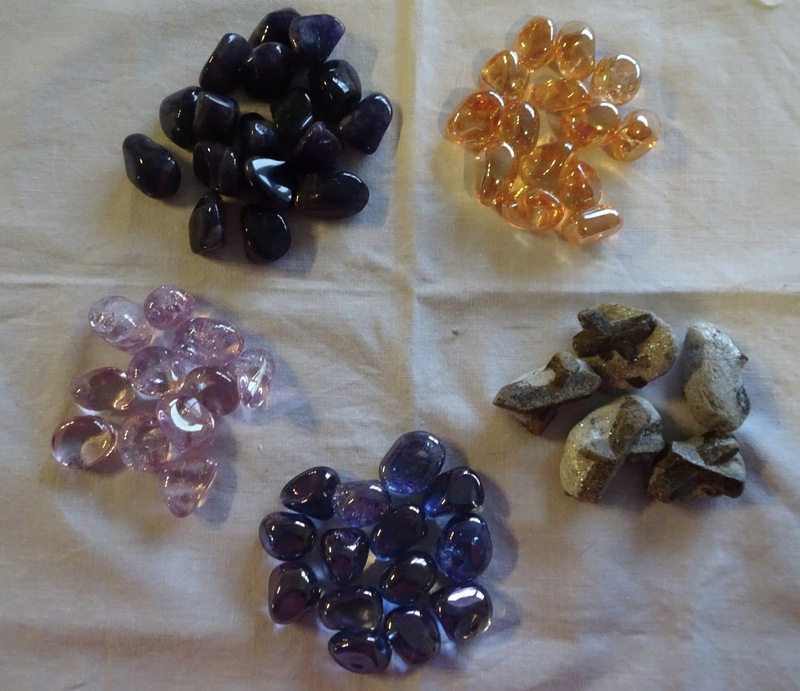 We hope you can join us in meditation, positive thought or prayer by visualising the crystals below. May peace and heart connection be with all. Dunked Cathedral, Perthshire, Scotland - Angel Aura & Rose Aura to bases of separate yew trees either side of path as enter grounds. (Aqua aura previously planted to another yew tree base at western side of grounds). Top of Caisteal Abhail, Arran - Angel Aura part of igniting energy of 'Sleeping Warrior'. Torrylin Cairn, Arran - Aqua Aura to burial ground area. Fairy Dell, North Newton, Arran - Fairy Cross to base of tree. Near Fairy Dell, North Newton, Arran - Snow Quartz for sheep and deer in local area. 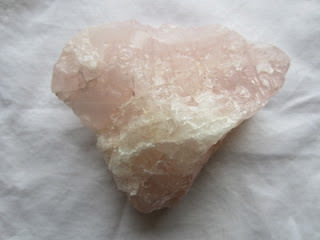 North Newton - Angel Aura, Rose Aura, Private Dwelling. 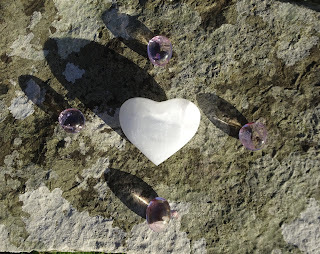 Memorial Cairn, Holborn Head, Scrabster, Scotland - Rose Heart of Light. Tonight's meditation, as last week, focuses on sending peace and healing to the Earth and her inhabitants. 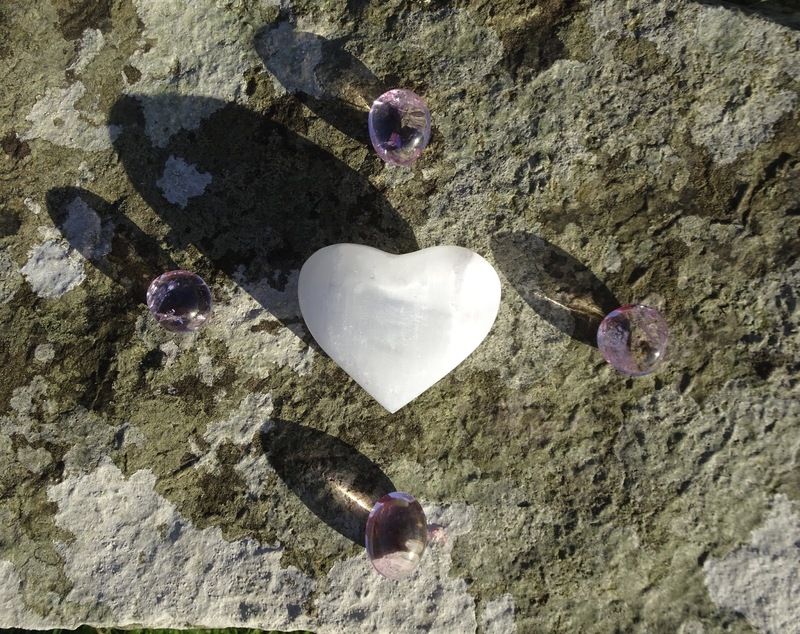 Please use the image of this beautiful heart shaped rose quartz chunk, shown below, to visualise in meditation, positive thought or prayer. Planted these beautiful abalone and selenite crystals for horses near Grinton during a recent trip to the Yorkshire Dales, England. Also rose aura and angel aura to the local churchyard. Celestite dust for fairies was scattered here a few days before, which felt very fitting, as the area is being managed for wildlife. All crystals were appropriately programmed before planting.